David Oliver is an extraordinarily successful coach who serves a very difficult set of niches in mental health with lay-coaching systems. He also sells DVDs, CDs, Books, and eBooks. David’s done literally thousands of coaching sessions, and has gathered over 11,000 testimonials from raving fans at last count…all while competing with major drug companies (as essentially a lone-wolf coach and small business person with less than 15 employees). In this extremely important interview, David discusses the SELF IMPOSED LIMITATIONS most coaches (and coach-wannabees) erroneously put on themselves and how to quickly remove them so you can succeed! Listen now while you’re thinking about it please. (Because “Someday” isn’t a day of the week!) You can download them here (MP3 | PDF), or click the play button below them to listen online right now. PS – Ready to take your coaching to the next level? 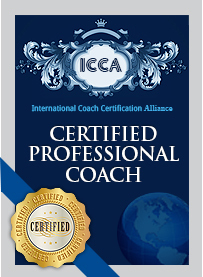 In just 12 weeks you can become a Certified Professional Coach, confident in your ability, and fully equipped to grow a thriving practice from anywhere. For more information, please click here now.